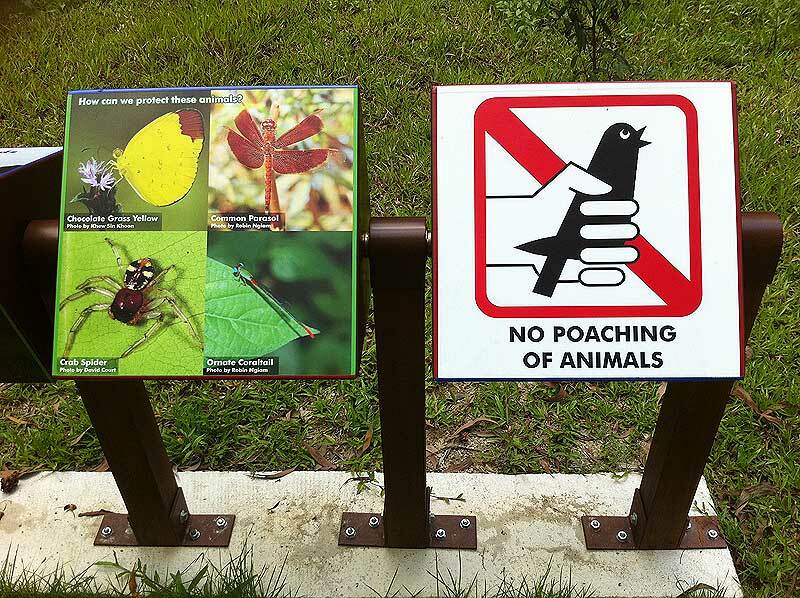 Main signboard at Butterfly Hill on Pulau Ubin. 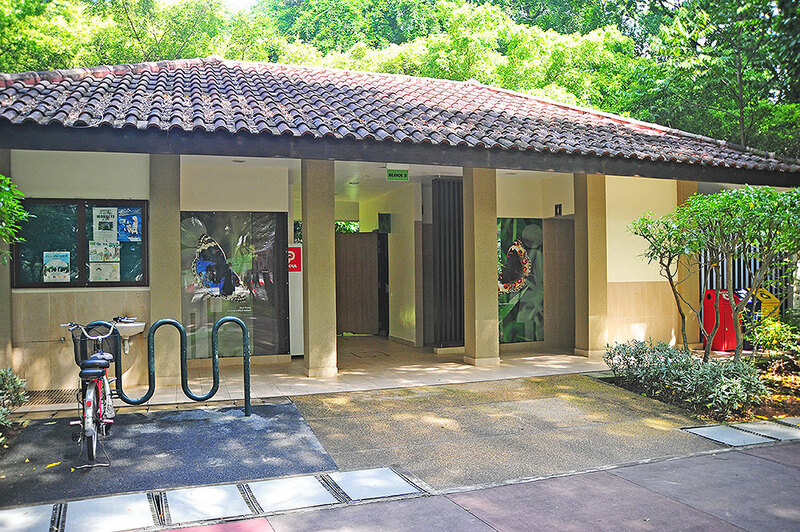 Featuring the works of Bob Cheong, Khew SK, Loke PF, Jonathan Soong and Mark Wong. 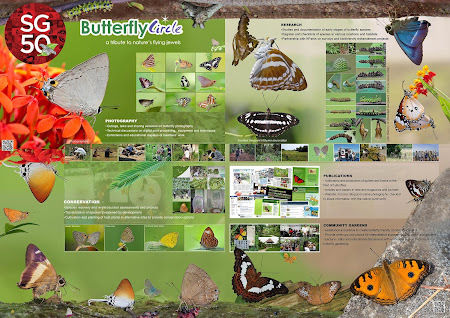 In Part 1 of this series, we discussed ButterflyCircle's contributions to publications and other media formats. 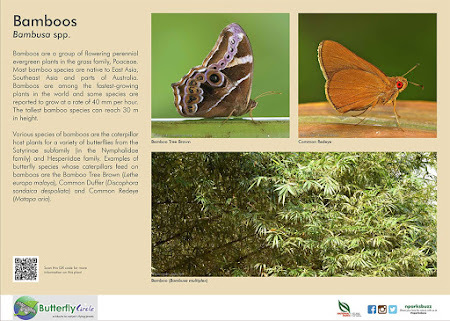 Some material and photos have also made it to research papers and scientific publications, including documentation of survey findings. 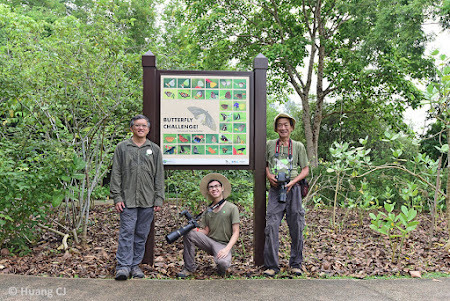 Well-taken photos of butterflies always add that 'spice' to any publication, and over and above being just aesthetic outcomes of a photographer's work, good photos are always in demand to support well-written articles about our butterfly biodiversity. 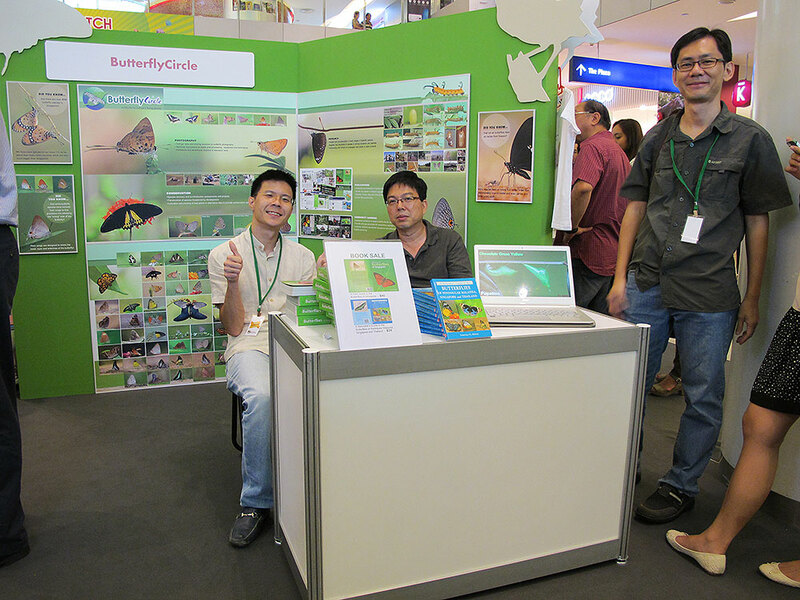 ButterflyCircle's display panel at Festival of Biodiversity 2015 (in conjuction with Singapore's 50th birthday!) 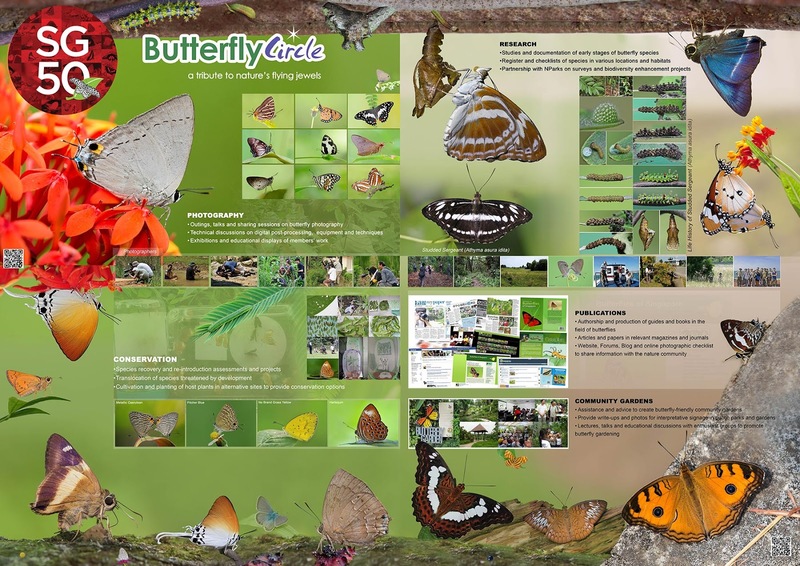 The annotations show ButterflyCircle's objectives and focus. This weekend's blog article showcases some of ButterflyCircle's community engagement activities over the past decade or so. In ButterflyCircle's objectives and areas of focus, which have appeared regularly on our display boards since the first Festival of Biodiversity in 2012, one area of contribution is to provide write-ups and photos for interpretative signages in public parks and gardens projects in Singapore. 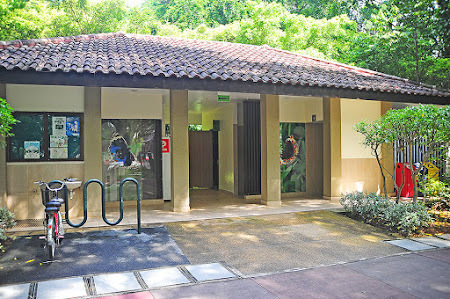 This is where ButterflyCircle has successfully partnered the National Parks Board of Singapore to provide educational signages to create awareness and appreciation of our local butterfly fauna. Examples of such interpretative signages can be found at several public parks and gardens in Singapore. 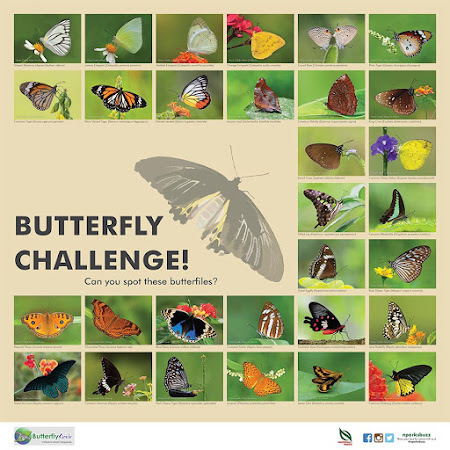 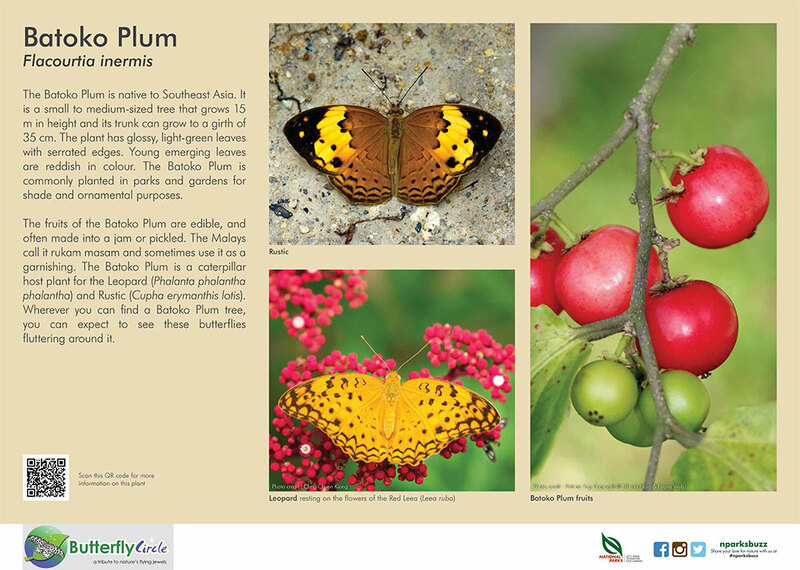 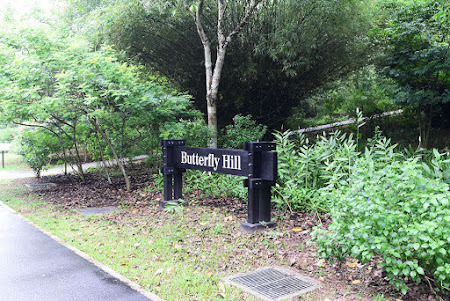 The largest number of signages and write-ups can be found at Pulau Ubin's Butterfly Hill - a project that ButterflyCircle members had collaborated with NParks to create. There is a total of 15 small signages and one large board depicting some of the butterflies that may be spotted at Butterfly Hill. 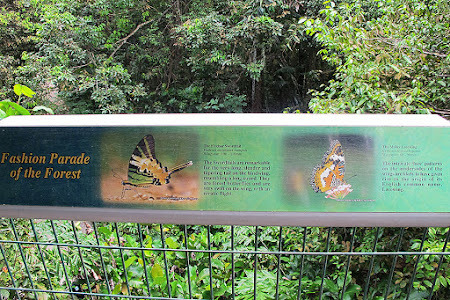 The signages depict the close relationship between plants and the butterfly species found on Butterfly Hill. NParks has also judiciously selected the appropriate plants to correspond with the signages as far as possible, so that visitors can read the signages and then see the plants that are described. 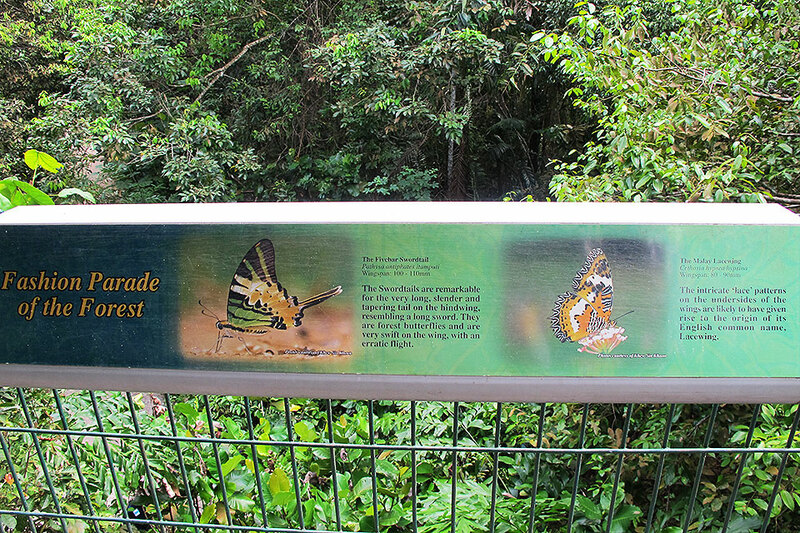 It would also be a bonus if the butterflies are also feeding on the plants! 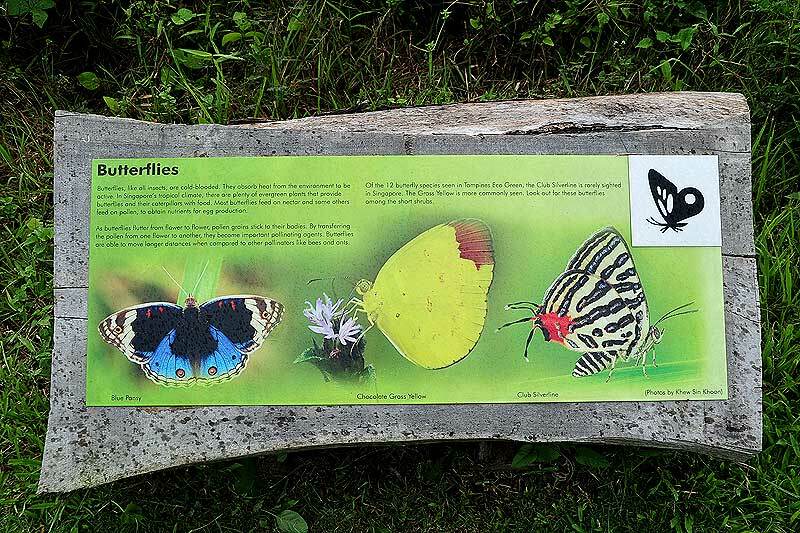 As with free-ranging butterfly trails, there are no guarantees that a visitor can see butterflies. 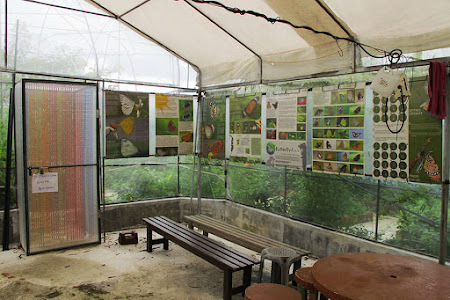 It depends on the weather and seasonal appearance of some species of butterflies, unlike an artificial enclosure where the captive butterflies can be seen 'on demand'. 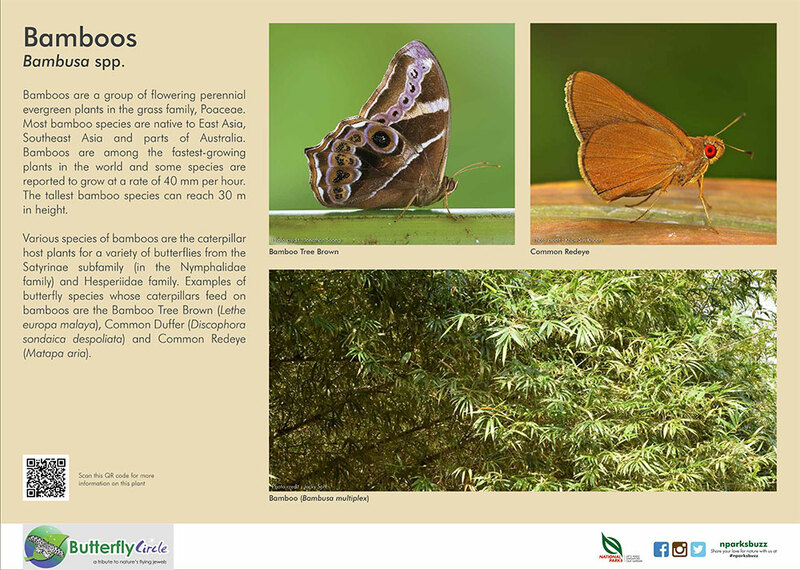 However, it is always more environmentally-friendly and exciting to spot butterflies in the wild and observe their behaviour in their natural environment. 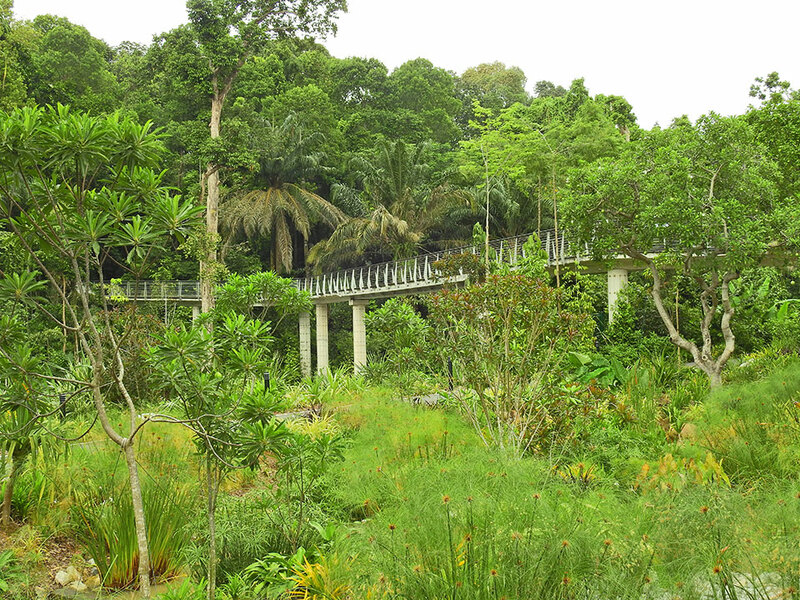 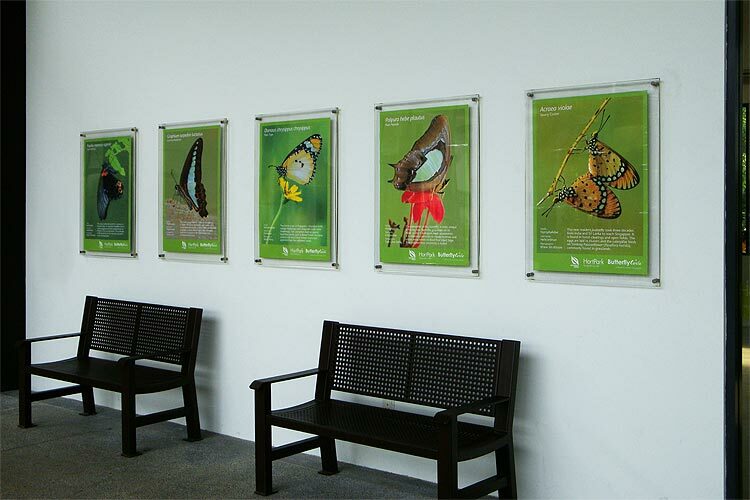 Over at Hort Park, ButterflyCircle collaborated with NParks for an experimental enclosure for breeding butterflies back in 2009. 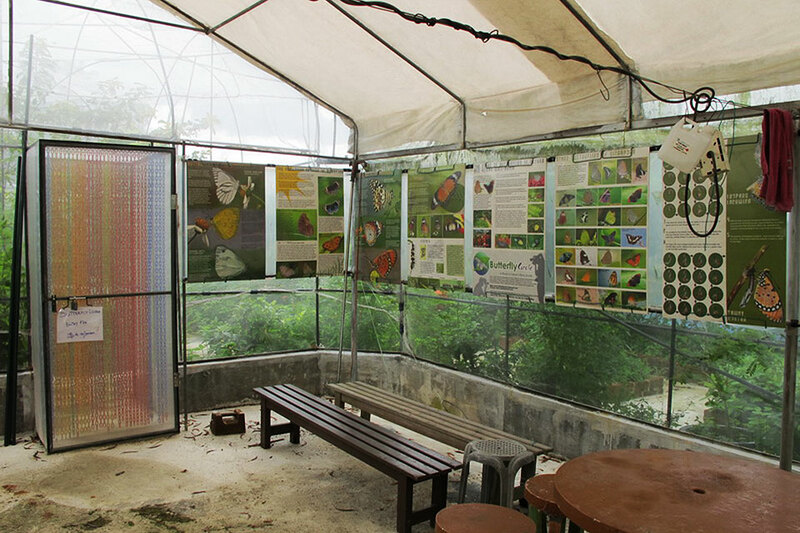 This enclosure has since been removed for a more environmentally-friendly open Butterfly Garden today. 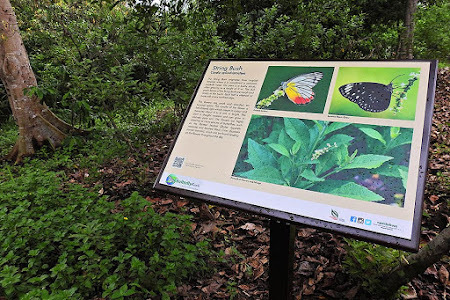 Again, ButterflyCircle was involved in the interpretative signage and providing some educational write up contributions to the signages around the Butterfly Garden. 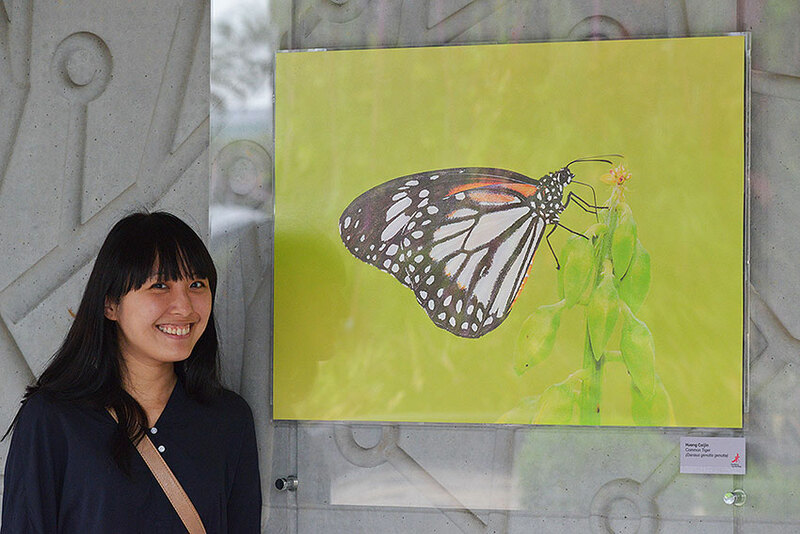 ButterflyCircle members' works were also displayed at the temporary display panels at Hort Park for some time. Species of butterflies selected for the display panels are those that have been seen flying freely at Hort Park, and these are more relevant in that visitors who spot these butterflies flying around can associate them with the signages that they have seen. 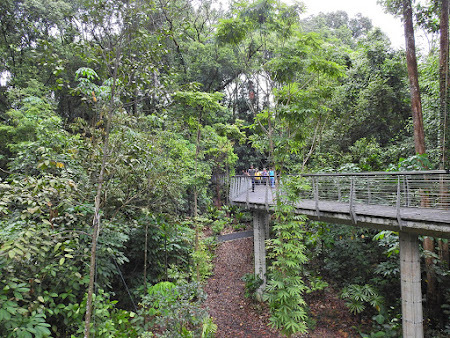 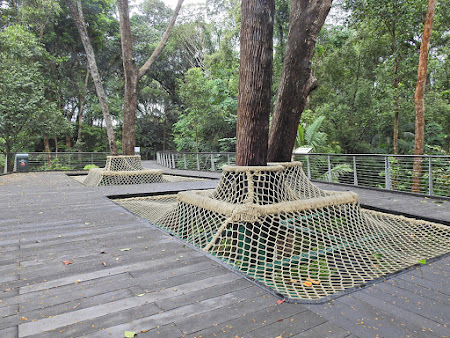 The newly-launched Learning Forest at the Singapore Botanic Gardens feature a series of interpretative signages to educate visitors about the flora and fauna of the 6 hectare rain forest that has been integrated with the SBG. 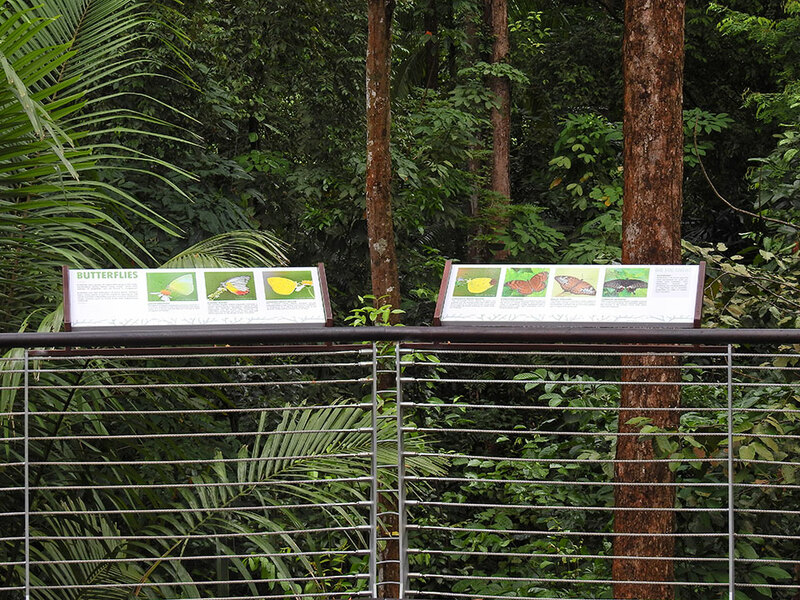 The Learning Forest features themed collections showcasing trees with interesting forms and bark, a bambusetum, and an arboretum of wild fruit trees. 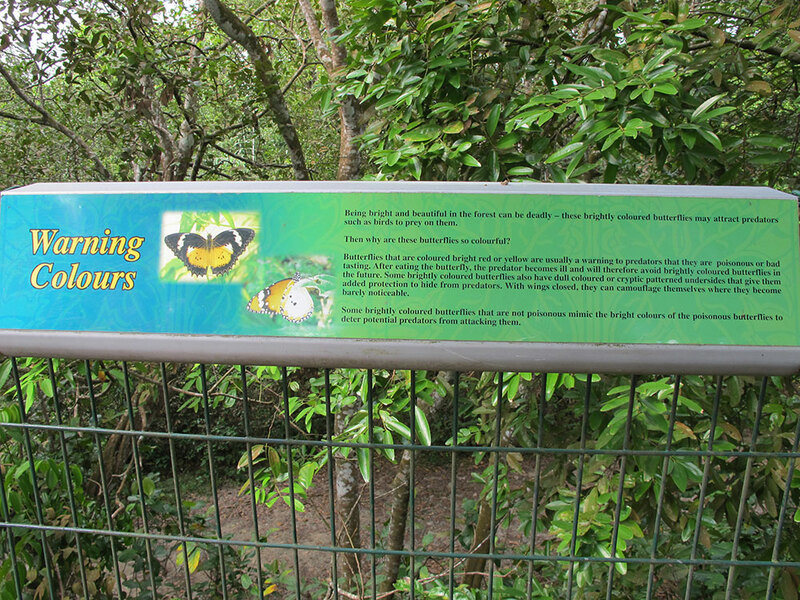 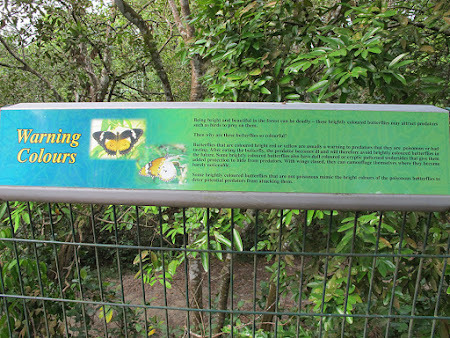 Signages also depict the wildlife that can be spotted in the Learning Forest, of which butterflies are also featured. 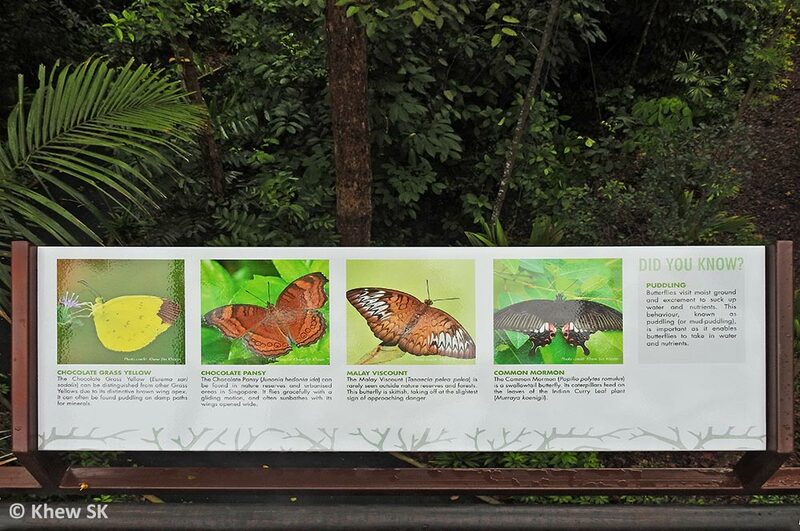 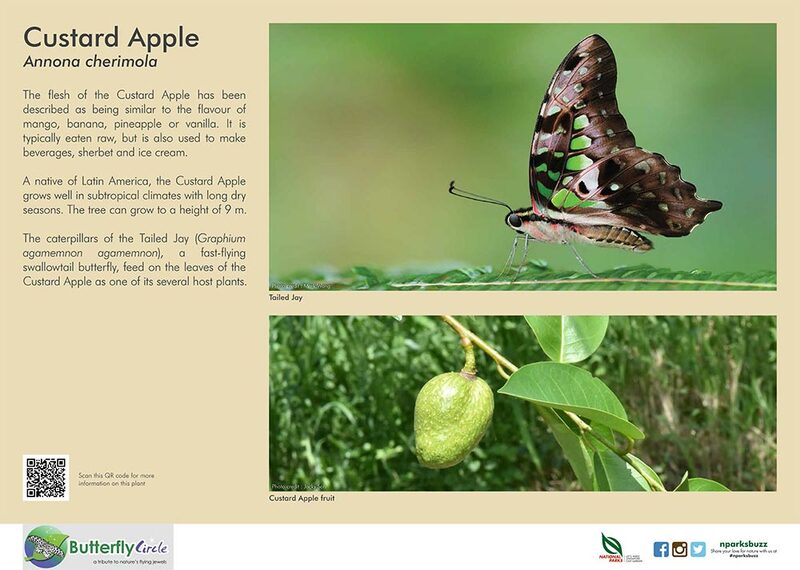 Photos of butterfly species that are likely to be spotted in the forest and along the walkways and footpaths are depicted on signage located at the Canopy Web area. The Canopy Web allows visitors to experience being in the canopy of a forest from a height of about 8 m.
Over at our suburban park, Tampines Eco Green, the interpretative signage designs are more understated and are crafted to blend in with the environment. 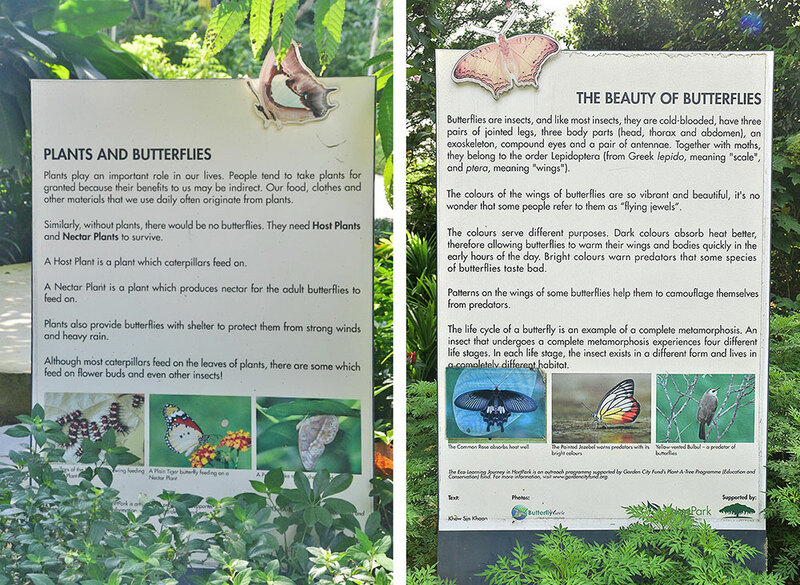 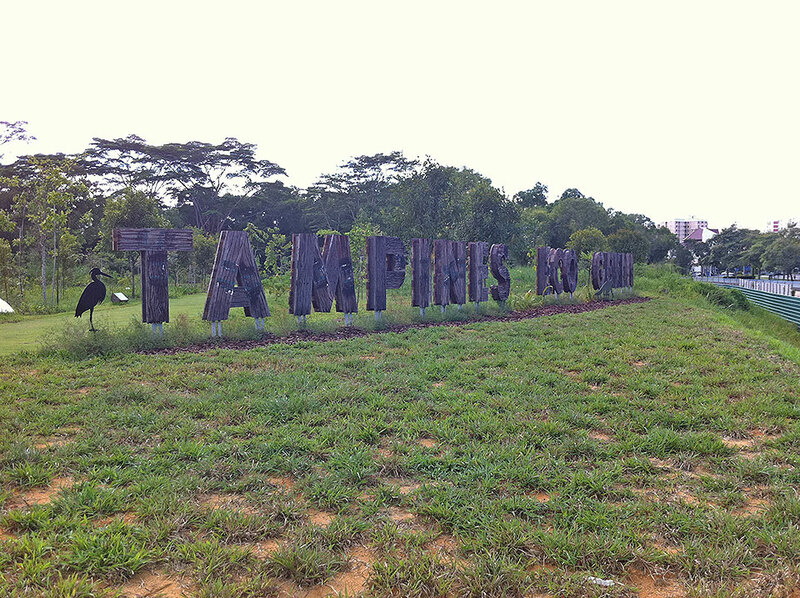 Small signages depicting some examples of butterflies spotted at Tampines Eco Green are placed discreetly at low level to educate visitors about the flora and fauna of this suburban park on the east of Singapore island. 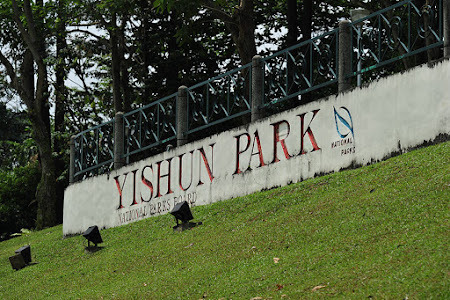 In the northern part of Singapore, the 13.9 hectare Yishun park is a suburban neighbourhood park that is popular with the residents in the public housing apartments around the park. 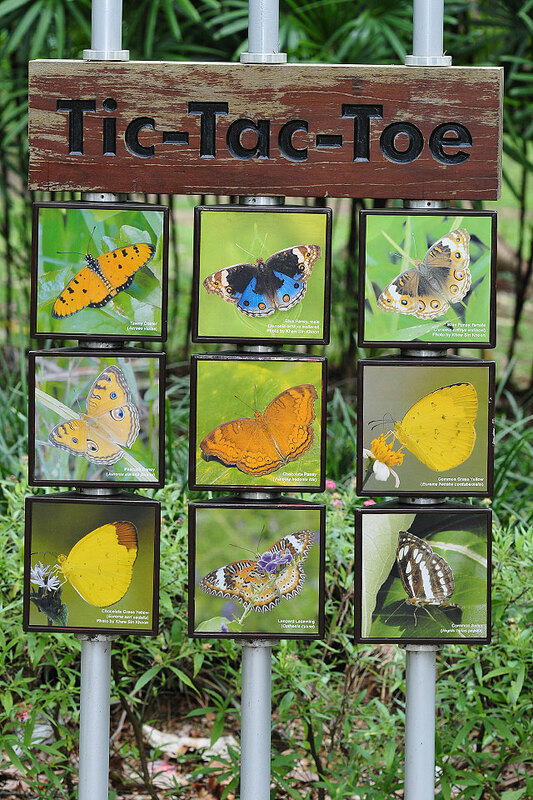 Over here, the photos used for the signages take a more interactive play format, where the biodiversity found at the park is placed on a 'tic-tac-toe' mobile sign. 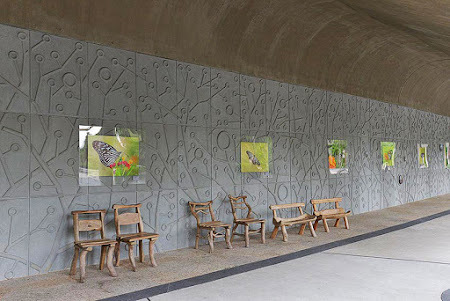 There are 3 rest room blocks at the large park, and the designers have chosen to creatively distinguish the male and female toilets by putting photos of sexually-dimorphic species of birds, dragonflies and butterflies. The common urban butterfly species, Blue Pansy (Junonia orithiya wallacei) was selected for one of the toilet blocks. The designers were also careful to add in the universally-accepted male/female graphics for visitors who are less knowledgeable about male/female butterflies, birds or dragonflies, just in case they have people who wander into the wrong toilets! 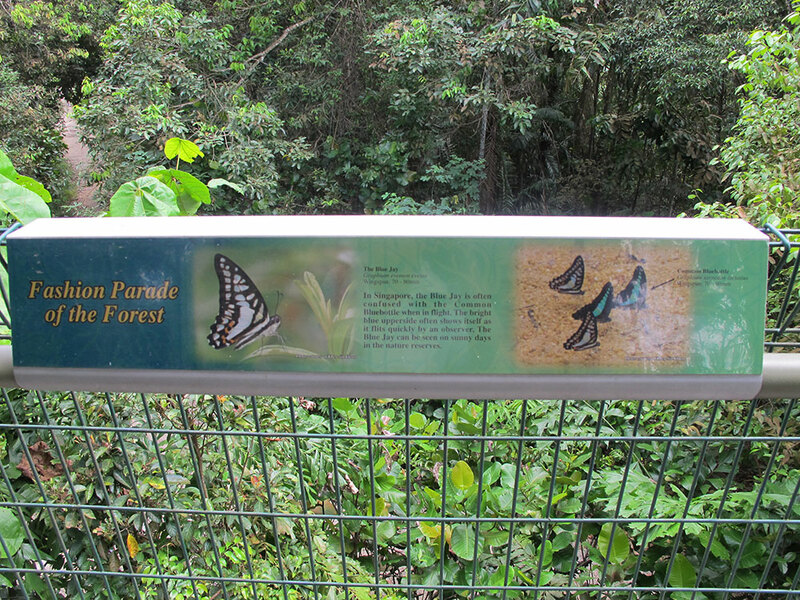 If you are in the Central Catchment Nature Reserve for a nature walk and come across Jelutong Tower, a 7-deck observation tower that allows visitors an unimpeded overview of the forest in MacRitchie area, you will also see some older signs that used our photos of butterflies to share some educational information about butterflies in the nature reserves. 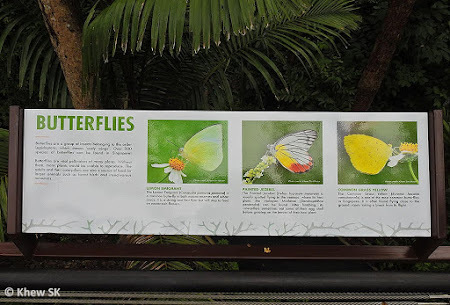 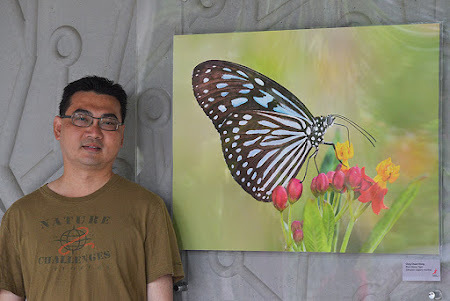 ButterflyCircle members also had the privilege of conducting butterfly surveys at Gardens by the Bay and exhibiting their photographs of butterflies that were specifically taken at Gardens by the Bay. The exhibition held in 2013, entitled "Flight of Fancy", featured flying creatures found at Gardens by the Bay, showcasing the increasing biodiversity of the area after the project was completed and opened to the public. Once again, there may be other signages and display boards that have used the generous contributions of ButterflyCircle members' work that have not been featured here. And to those members who have responded to the call for contributions of their photos for the various interpretative signages all around Singapore's parks and gardens, a big thank you to all of you!